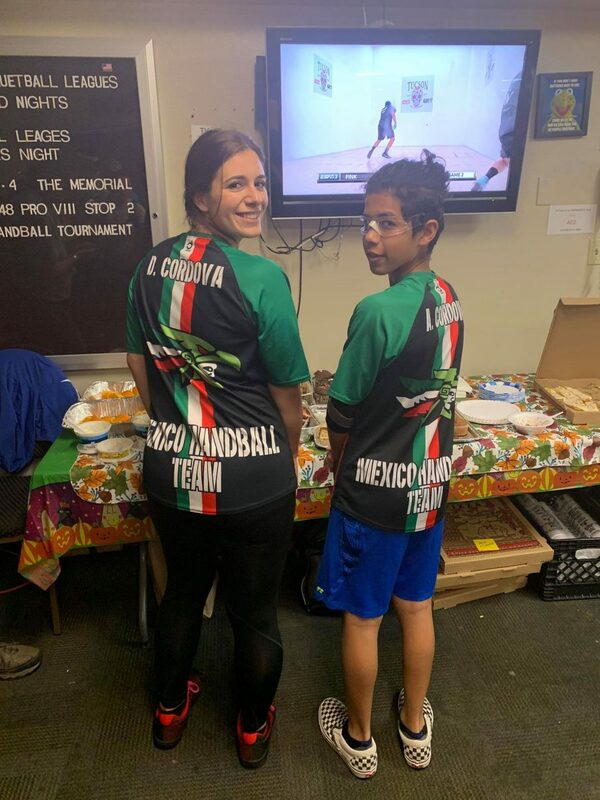 At every handball tournament, multiple Cordova jerseys can be seen. Not always by the Cordova brothers, Luis and Daniel, but by their legions of fans who admire the R48 superstar brothers. 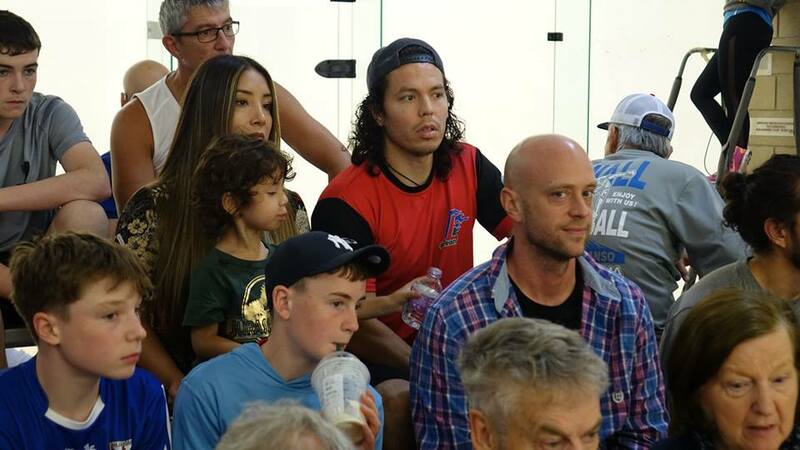 The admiration demonstrates the character and positive impact that both Luis (WPH R48 #3) and Daniel (WPH R48 #4) Cordova bring to this sport, but better yet, the handball community. Luis Jr. was given the nickname, “Lucho,” because he shares the same name as his father. “Lucho” also reflects Luis’ playing style. Lucho  translates to ‘fought” in Spanish, which is the hallmark of Luis’ game. 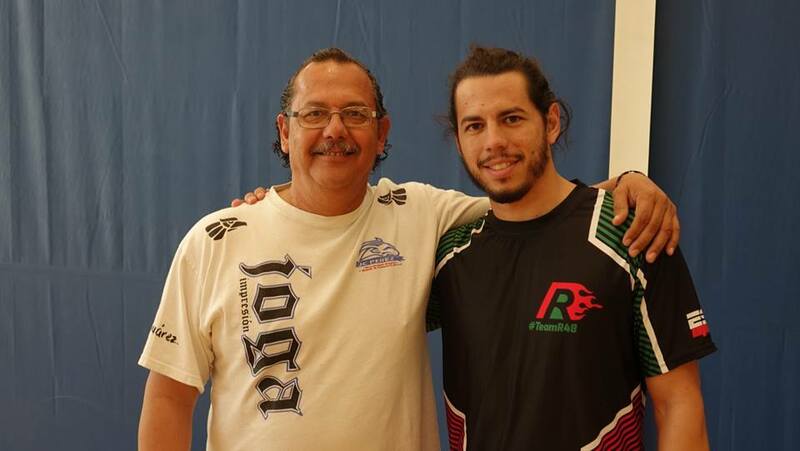 Luis is one of the R48’s fighting warriors, alongside his brother, Daniel. Daniel was given the nickname “Danos” from his Aunt Lily, which translates to “give us.” Danos invariably gives his fans something special to watch with his sensational blend of athleticism and flair. Luis Sr., Luis and Daniel’s father, started playing this ‘perfect game’ in 1978 at the age of 15 at Club Campestre in Juarez, Mexico. 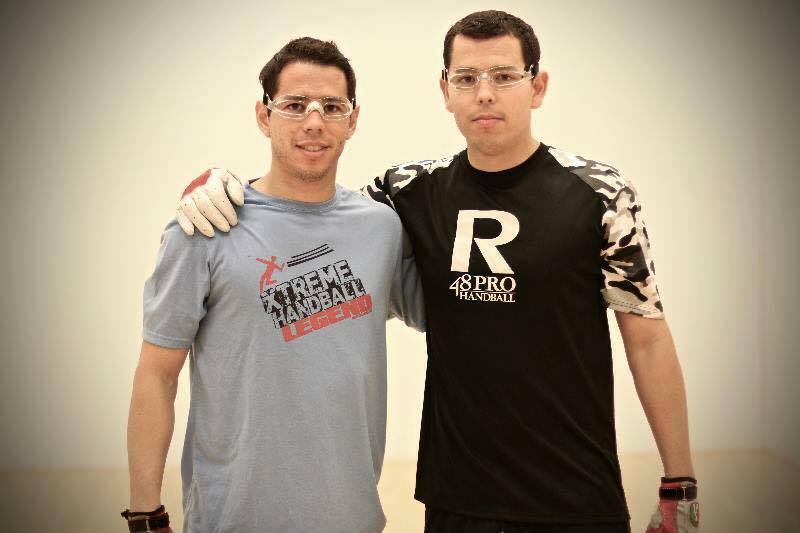 Luis and Daniel would follow their father to the courts as youngsters, but it was not until they were 13 and 11 years old, respectively, that handball became a serious passion. 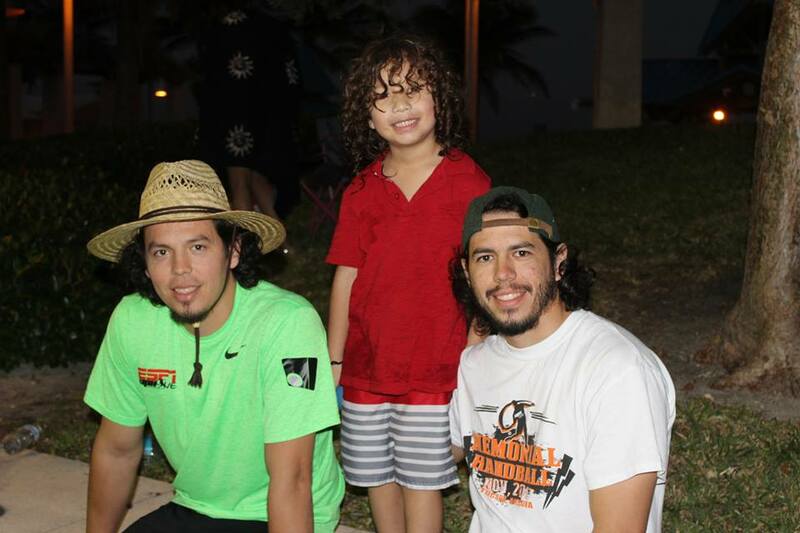 Within the next decade of learning and practicing under the guidance of their father and many others, the Cordova brothers became a force on the pro tour. “I feel very happy. Seeing my children improve every day in the rankings and be part of the WPH R48 pro tour is very exciting, I wait every season to see how they will do, and seeing that Luis and Daniel’s 13-year old brother Andres continues with the same passion as his brothers, makes me happier,” boasted proud father Luis Sr.
Luis Jr. and Daniel started their junior handball careers after seeing a pro stop for the first time in Juarez, Mexico in 2001. Growing up in a border town was “pretty unique,” according to Daniel. Having their mother move to El Paso while their father stayed in Juarez provided Luis and Daniel lived the best of both worlds. “Being able to go eat authentic tacos for lunch to Whataburger for dinner was a treat,” stated Danos. 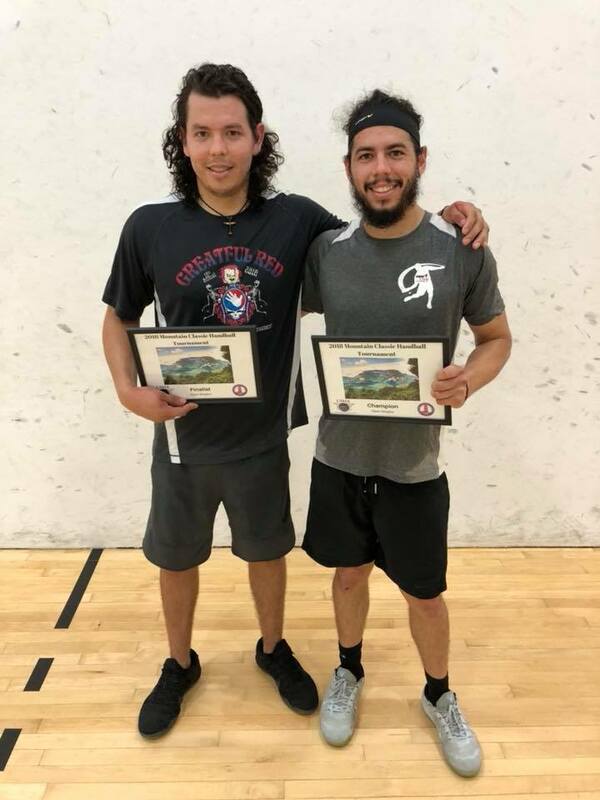 Seeing the professionals play for the first time in their hometown sparked Luis and Daniel’s attitude to dedicate more time to their games, as Lucho and Danos, their uncles, and their friends started to play more and more handball. “Every time they found a wall, they would play,” recalled Luis Sr. 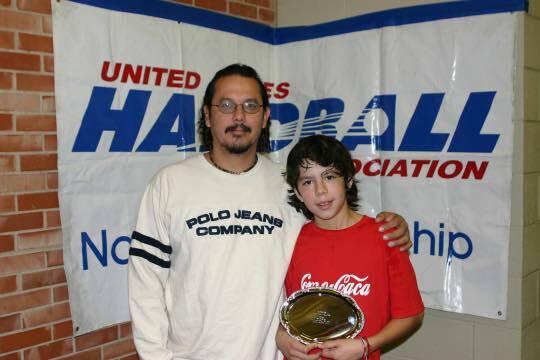 In 2003, Luis Jr. and Daniel traveled to compete at their first tournament in Flagstaff, Arizona. Following that experience, handball became more serious. 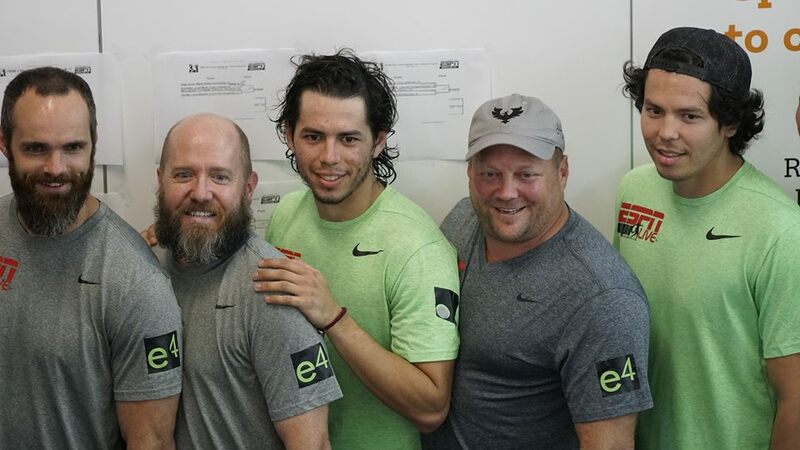 Phoenix’s Kenn Danembaum was one of the first outside of Juarez to watch Lucho and Danos play and began supporting the brothers to travel to all the major junior tournaments. Although their mother never played the sport, she played a huge role in their early life of handball. “She did not love the idea of us missing school for tournaments or not doing homework because we went to play handball, but she always supported us and was always back home waiting on the tournament updates,” remembered Lucho. 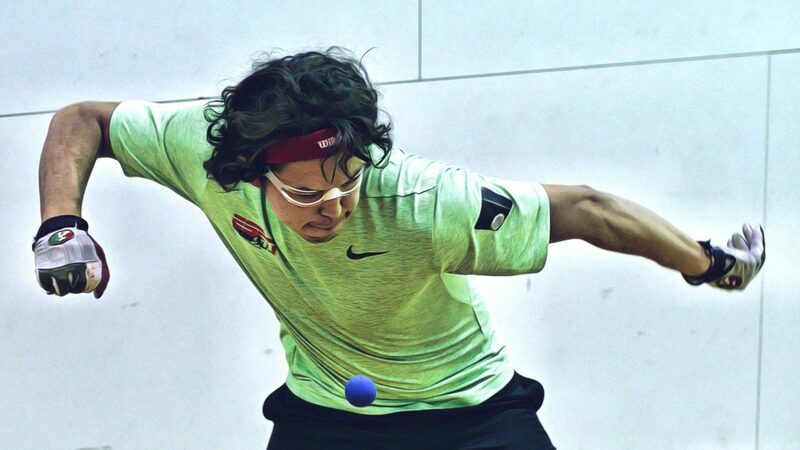 Handball has played a huge role within the Cordova family for many generations. 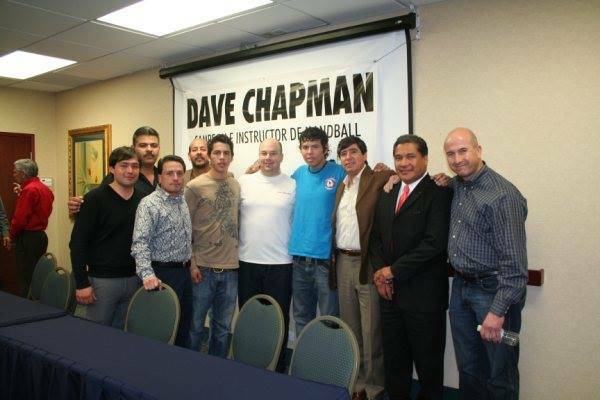 Both grandfathers of Luis Jr. and Daniel played at some point, and their parents met at Club Campestre in Juarez. Lucho met his wife, Arelhi, through his brother-in-laws, who both play handball. “Pretty much everybody on both sides of our families plays or has played before,” stated Lucho. “Because of this, my mom and the rest of my family has always been so supportive. Everyone can appreciate our success. Our family is our number one fans,” added Daniel. 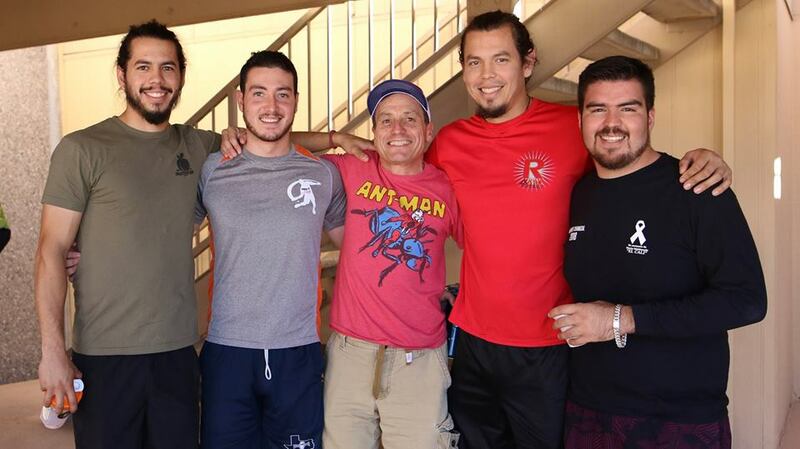 For the past 15 years, Luis and Daniel have traveled the country working on their games and creating memories. 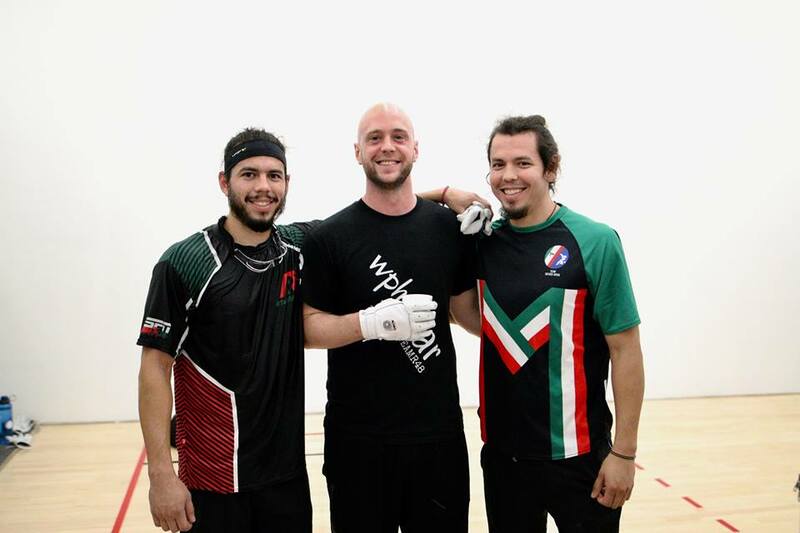 One of the brother’s fondest memories was upsetting two of the game’s greatest champions, David Chapman and Sean Lenning, at the WPH 3WallBall Championships in 2011. “Chapman and Lenning were the favorites to win the tournament, so it was nice to get that win, even though we didn’t take the title,” stated Lucho. Lucho (28) and Danos (26) have made huge improvements in their games over the last few years due to endless hours in the gym and on the courts. “It means a lot to be a pro at something you love to do,” stated Lucho. One of the Cordova brother’s direct bosses at work is Atlanta handball player Lee Castleberry. Castleberry deals with Luis and Daniel arriving late from lunch every day to squeeze in a workout. 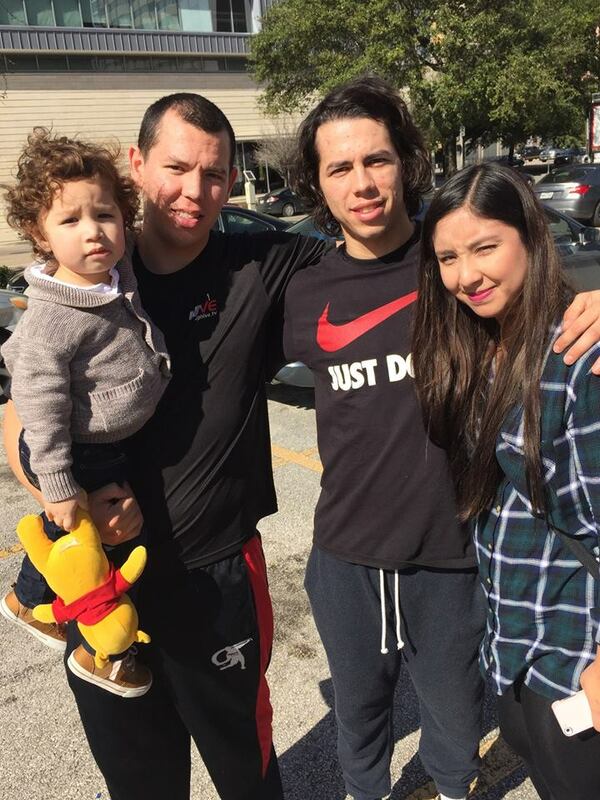 When Lucho and Danos first moved to Atlanta, they were fortunate to live together and have Danos as the loving uncle to Luis Mateo and Luan. 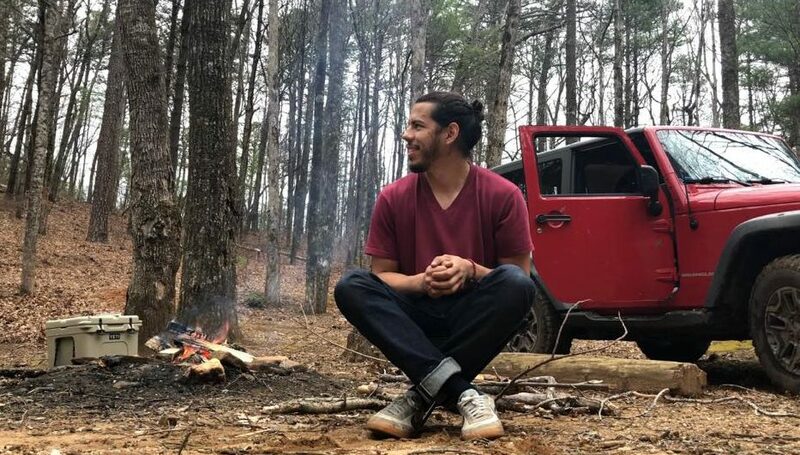 Outside of being a supportive and loving uncle and watching many of his nephew Luis Mateo’s baseball games, Daniel enjoys time camping in his Jeep Wrangler on different trails throughout the state of Georgia. Although Daniel can always call Lucho’s place home when needed, Danos chooses to explore and experience new adventures while he can. 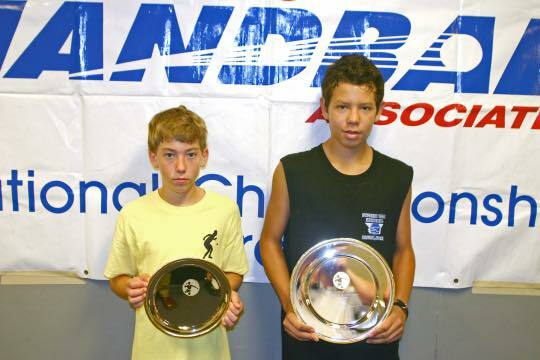 While Lucho and Danos are currently campaigning in the top four on the R48 pro tour, their 13-year-old brother Andres is following in his brothers’ footsteps and participating in tournaments across the nation. “I know he loves to watch us and emulate us; it looks like he is going to be a great player,” declared Lucho. Junior prodigy Andres has learned from his big brothers, as well as their father and Juarez junior coach, Richy “Drft” Fernandez. “It’s nice to see him enjoy the game as much as we do. It will be fun to all play against each other when he gets real good,” added Danos. Not only have these two brothers dedicated time and effort to their game over the years, they have gone above and beyond to support younger players. 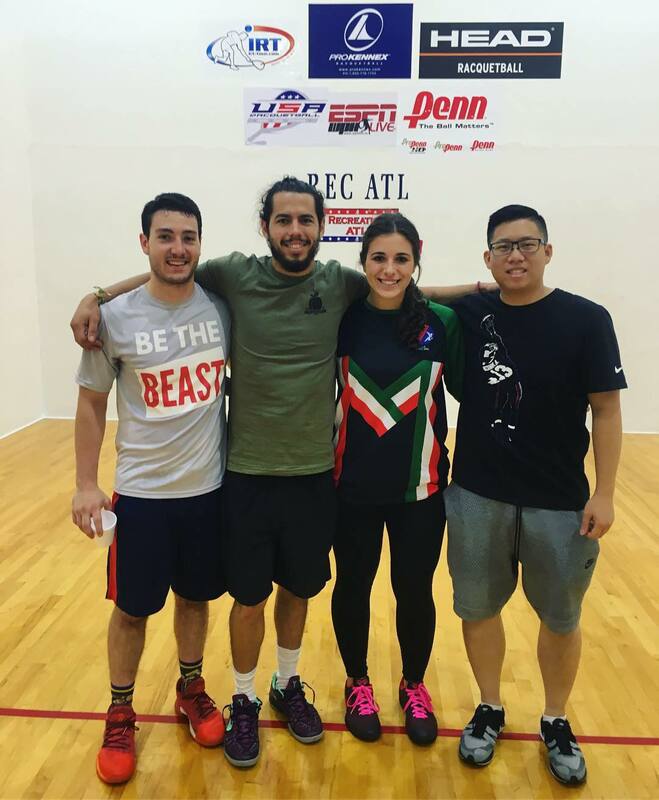 Lucho and his family host 20 or more college students and other players in their Atlanta home several times each year, with endless hospitality for their handball-crazed guests. “I am enjoying this pro experience. I like traveling to new cities, hosting players, and getting to know players from all different backgrounds,” proclaimed Daniel. Daniel plays a different style; his intellect guides his strategy. “With a subtle and disguised flick of the wrist, he can make the ball dance like a puppet master, as though invisible strings were attached to his gloves. He keeps his opponents off balance and confused, from the time he serves until the finishing shot, be it a touch kill shot in the corners or a blistering pass with a natural hop that cuts into his opponents and jams him from a return that falls short of the front wall,” Langmack explained. Opponents know when they enter the court with the Cordovas to expect a battle. “They’re a lot of fun to hang out with and fun to watch ball. It is a real drag playing either one of them, but at least they’re fair”, said WPH R48 #1, Sean Lenning. Even when in disagreement with the referee, the Cordovas debate the calls with passion, but never malice. “It is for these reasons that they are two of the brightest stars in this current era of our game, and should continue to be for the foreseeable future”, said Langmack. The Cordova passion allows each to play every game like it’s their last. “I want to see what my potential is and competing against the top pros is the best way to do so,” expressed Daniel. Despite Lucho and Danos’ different styles of play, both Lucho and Danos share the same love for the game on and off the court. 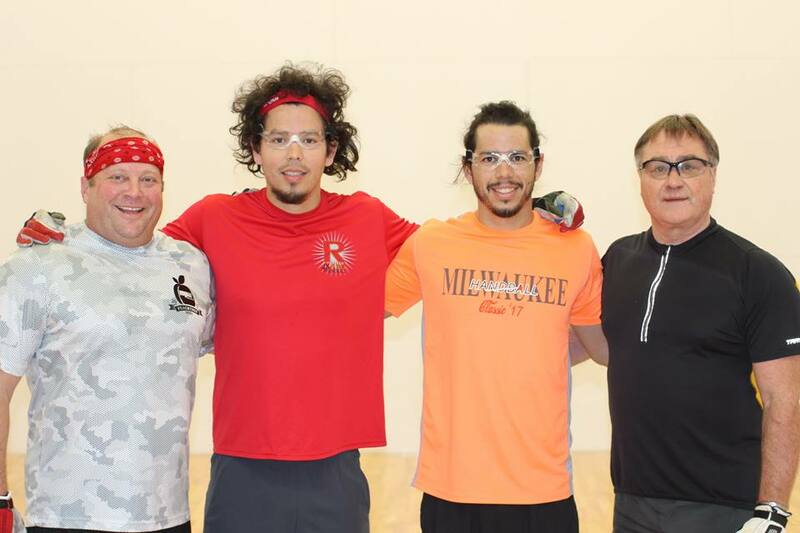 The Cordova’s doubles acumen earned the brothers the nickname, “The Flying Cordovas” for their relentless pursuit and reckless abandon for their bodies in the quest to retrieve every shot, a trait that is also steadfast in their singles play. Lucho and Danos are intensely competitive on and off the court. Rapid Spanish phrases can constantly be heard between the two at tournaments, always dissecting each other’s games and taking their friendship to a deeper level. It is the purest form of brotherhood. “There are high stakes on the line when the two face each other, yet at the end of it all, one cannot find two people more mindful of the struggles and the successes of the other. They leave nothing but respect in the eyes of those who come across their paths,” stated Langmack. The story of the Cordovas has yet to be finished and there are undoubtedly many more chapters to be written, but the legacy the Cordova brothers have already written will likely never well be replicated. Pictures courtesy of Luis Cordova, Sr., Daniel Cordova, Kyra Vidas, and the WPH.